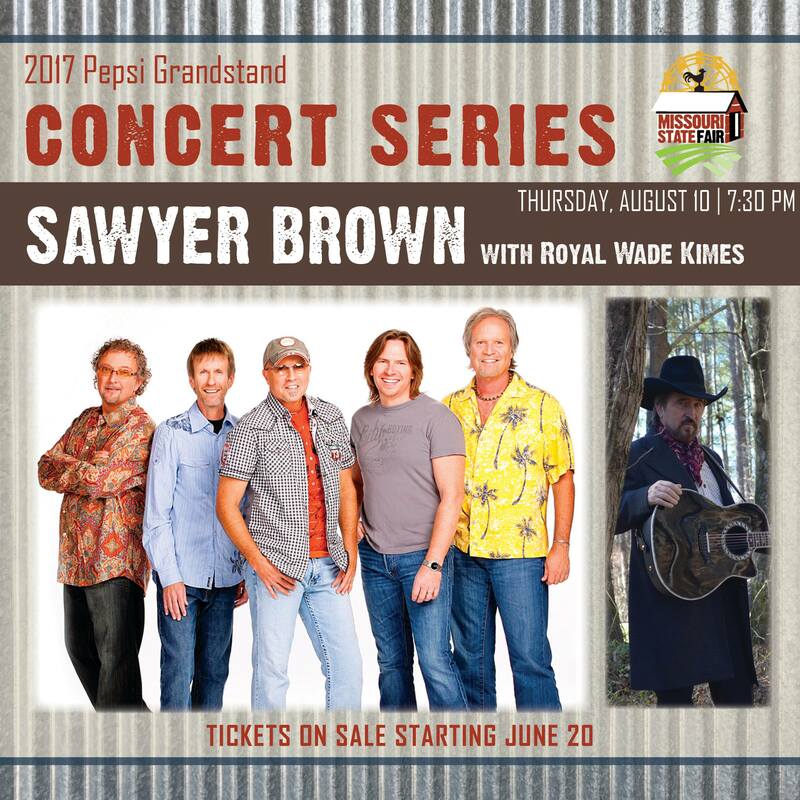 The Missouri State Fair announced Sawyer Brown will headline the Pepsi Grandstand opening day of the Missouri State Fair Aug. 10 with opener Royal Wade Kimes. Tickets to the show are $10 for track seating and $5 for grandstand seating. Grandstand tickets do not include admission to the Fair. Tickets go on sale at 9 a.m. June 20 through ticketmaster.com or by phone at 800-796-6776 or 800-745-3000. All concert seats are reserved. Convenience charges apply to all tickets. The Missouri State Fair Box Office opens at noon on June 26 for walk-up orders (while tickets remain). Box Office hours are: June 26 – Aug 4, 12 p.m. – 6 p.m. Monday through Friday, closed July 4 and then Aug. 7-9, 9 a.m. – 6 p.m. and Aug. 10-20, 9 a.m. – 9 p.m. Grandstand tickets do not include admission to the Fair. The 2017 Missouri State Fair in Sedalia will be hosted Aug. 10-20 with the theme “Come Home.” For more, follow the Missouri State Fair on Facebook here. Visit the Fair website here.